“If travelling were free, you would probably never see me,” this has been one of the favourite sayings of people who have been bitten by the bug of wanderlust. And honestly, if it were free, you would never want to stay at one place either. But since it is not free, people opt for other options when it comes down to cost-cutting. And probably that is why someone invented inexpensive ideas like road trips and backpacking. Besides, it is much more adventurous and memorable to discover a place on your own rather than hiring a guide. If all this tugs at something inside of you, then congratulations, you are also stung by the wanderlust. And these ultimate backpacking hacks are especially for you. But before that, let’s understand what backpacking is. Backpacking, in its most literal sense, means to travel with carrying everything simply in a backpack. It is traveling with only those things that are essential for touring and enjoying, without compromising with the fun, and carrying them all in a simple backpack or rucksack. And as for why people do that; it is because it is easier than traveling with 3 bags per person, with the added advantage of being convenient to people who love to travel alone. Also, you really do not have to pay extra attention to your belongings when traveling to far off and difficult places, because they are right there on your back. Even when we have the concept of light packing clear to us and we have the list of things narrowed down to only essentials, we still have a lot to pack, because priorities are a little high in number. Counting the tent, clothes, food, utensils, stove, cooking essentials, camera, equipment, shoes, and other accessories, there is still a lot that you have to pack for your next big trip into the wild. And that is where the backpacking hacks come for your help. These are merely some practices that you can bring into your habit to make your travel experience grand but easy. Here are a few easy backpacking hacks you should definitely try on your next trip. People who love traveling just cannot leave their music behind when they set on a journey. Earphones are a great way to enjoy music while on the go or when you are in the wild, looking at the sky, and enjoying yourself. But what if you are in a group, and over the bonfire, everyone is in the mood to groove? No speakers because no electricity, and you did not carry your portable speaker because it does not fall under the backpacking essentials. Well, you can make your own portable speaker out of just about nothing. All you need is an empty toilet paper tube and your phone. Just cut a slit, as wide and thick as your phone, into the tube, prop it up on four thumbtacks, and hurrah! You have a portable phone speaker. Nobody steps into the unknown without one of the most important things, shoes. We have grown up wearing all different kinds of footwear, and it is of common knowledge that while traveling, the best option is to wear the hiker boots. But did you know that there are dozens of ways that you can tie your shoelaces in? Like the surgeon’s knot, or the overhand knot? Never heard of those? As it turns out, different conditions require different shoe lace arrangements to avoid any discomfort or discrepancies during travel. For example, the surgeon’s knot is used for securing tension under the knot. And it is not even that difficult to do. When you are going out for exploring new sites, and that too on a shoestring budget, you cannot afford to eat in a nice and trendy restaurant every day. Some of the times, you have to make-do with eateries that are not that great, and other times you have to fetch and cook on your own. Also, high up in the hills, you cannot just light up a fire anywhere as you please. You need a dedicated stove for both the purposes. You can make what people call the rocket stove and carry it with you, or with the supplies that you find there, set it up right there instantly, too. All you need are soup cans and a bigger can for the fire. Cutting out a section of the size of the soup can opening from the bigger can, you have to fit them in a way that the soup can works as the fuel gate. You can then shove wood inside it and start a fire anywhere you need it, either to warm yourself or to boil water. Ticks are a part of the same family as spiders. They are external parasites, and live by sucking the blood of mammals and birds. They are a big problem out in the wild because they are found in warm and humid climates and need blood to survive. But, you can get rid of them on the go very easily and with as little supplies as just a roll of duct tape, if they have just latched on. Simply use a sticky duct tape to pull them out. Backpacking is not an easy form of travel. Most of the times, you have to eat at places that you otherwise would not even think of. And sometimes, you are so far away from nearest civilization that you cannot get anything to eat. And so, it is best to prepare yourself for such situations by bringing along a snack for the difficult times. And when it comes to instant snacks, nothing plays a better part than energy bars. They are stocked-on with pretty much everything that one needs in times of extreme hunger. But since it is backpacking we are talking about, why not make our own bars too? 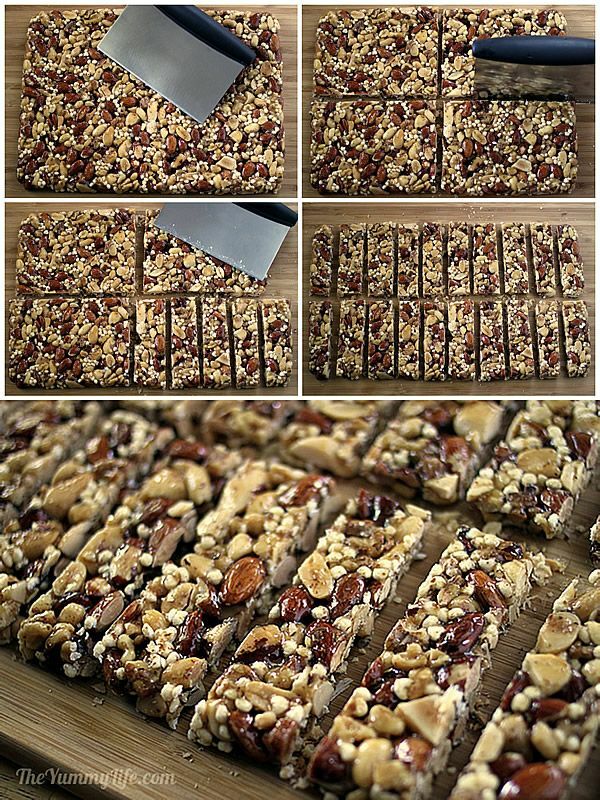 You can make a little something similar to the KIND bars at your own home and take them with you on your next trip as your own backpacking meal, and they cost around only $0.44 per bar. You can learn the recipe from the tutorial at The Yummy Life. Food is not a luxury when you are backpacking. Sometimes you get it, sometimes you have to prepare it on your own. And in those times, you start missing your own home because of all the spices that you have back there. And so, you can either quietly eat the bland, tasteless food or put whatever spices you want in it. How? 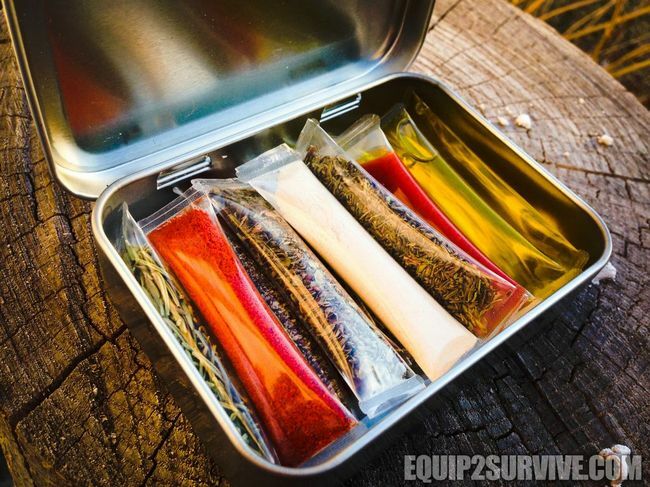 By making a portable spice kit that you take with yourself everywhere. Just grab a pack of M&M’s, some straws, and tape and you are sorted. You can carry your spices everywhere with this hack and add a little luxury to your backpacking at the cost of nothing. Instructables tell you how to make one that weighs as less as 28 grams per piece. As much as water is integral to our survival, our water bottles are more of a dead weight and take up more space than we can allow. So, what is the solution to all this? 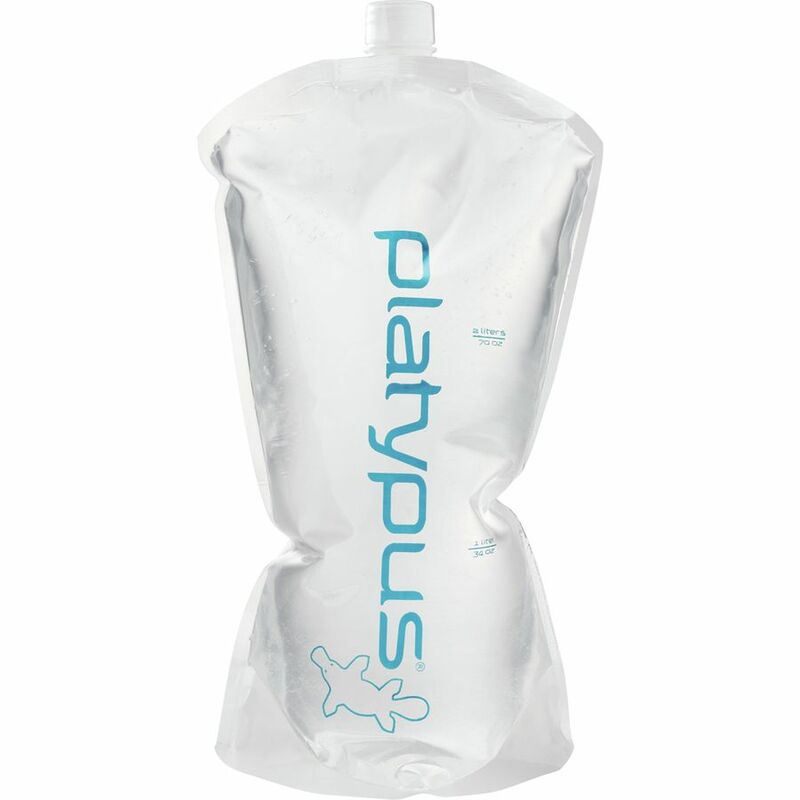 Well, thanks to Cascade Designs who introduced to us the Platypus PlusBottle, which is a soft and flexible water bottle. When the bottle is emptied of water, it can be folded to take up almost zero space. Also, you get the option of hanging the filled bottle to one of your bag’s straps. It is the perfect solution for hikers and backpackers alike, because it takes up no space, is very convenient, and is not expensive at all. You can buy it at around $12 from any e-commerce site. No matter where you go, you should never forget to maintain a certain level of hygiene about yourself. But since we do not have enough space in our backpack to carry whole bottles of hand-wash, shampoo, sunscreen, body lotion, and other such toiletries, we have to find a way. We can invest in smaller handy packs of much of these products, but Mighty Girl will tell you a way that’s almost a steal and will save you all the investment. Remember those straws that you drink smoothies from? Well, you can use those to make your own travel-size toiletries. You seal the straw on one end using a heat sealer, pour in the product from your current inventory, and seal the other side with the heat sealer. These will not drip, and there is no chance that they will get contaminated by dust or anything else. Just cut one open and use whenever you need. Also, if you do not have a heat sealer at home, it does not mean you will have to buy one. You can also make do with a lighter, with just a little extra caution and elbow grease. 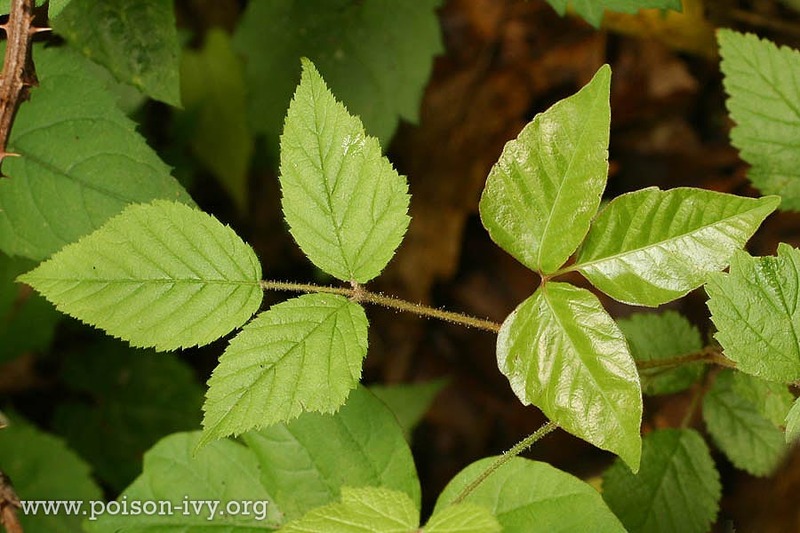 We have all heard the name “Poison Ivy” because we have been told not to even touch them as they may prove to be harmful. But we don’t even know how do they look like, or we forgot. And there is not just that. Out there in the wild, there are many more such venomous and dangerous plants, and you should know how they look and the threat level they pose to you. For example, the bittersweet nightshade has toxic berries that look really attractive. Or the stinging nettles that have rash-producing spines and give you a severe itch on contact. Not enough stress can be put on the point as to how much the knowledge of recognizing these plants is important because this might just save your life or someone else’s, someday. The Spruce tells us how to identify these plants and how dangerous they can be to us, as well as how to tackle them if you come into their contact. In the initial days of the civilization, humans survived because someone accidentally found out that by rubbing two stones together over some dried wood, you could create fire. It helped them cook, boil water, make tools by forging, and warding off animal threats. Science tells us that we need fuel, some oxygen, and a spark to create a fire. But in reality, you cannot directly light a fire with just wood and matchsticks. You need a little something that will help you to start a fire. Wood shavings sound like a good idea. But there is an even better idea. You can make your own fire-starters with cotton and petroleum jelly, and carry them with you in an airtight container. Instructables shows how to make fire-starters that last for a good 6 to 7 minutes, which is enough to even dry up wet wood. Backpacking meals do not have to be stereotyped into bars. They can also be cookies. Cookies make the perfect backpacking snack because there are no preservatives used, and they are prepared for giving you all that your body needs to keep going and continue with your vacation. So is there an energy bar in form of cookies? Yes, we can call them that. Or we can call them what the maker of these cookies, calls them; Super-Charge me cookies. 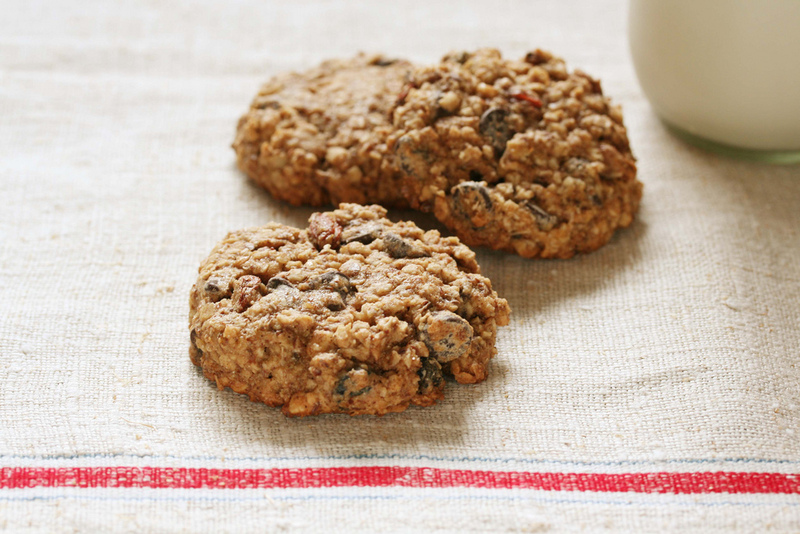 You can learn how to make these delicious cookies at Plant Powered Kitchen. Fire is a very important part of life as we need it for cooking, keeping ourselves warm, and can scare away animals. But the most difficult task for starting a fire is actually containing the fire. You need a starter that burns for a time long enough to kindle the bigger twigs. And it is not always easy to find the proper kindling for your bonfire. So, to save you the time that you will have to spend on finding the perfect fire starter, blogger One Creative Housewife came up with the idea of DIY fire starting wafers that just about anyone can prepare in their homes. 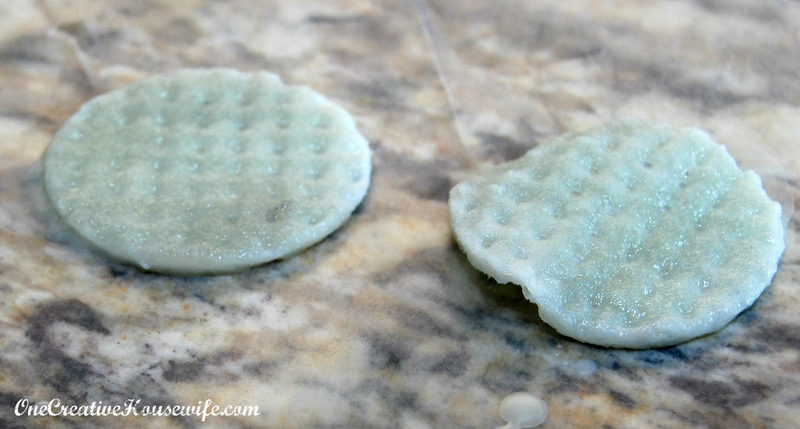 Very easy to make, you will only need cotton pads and melted wax for these wafers. 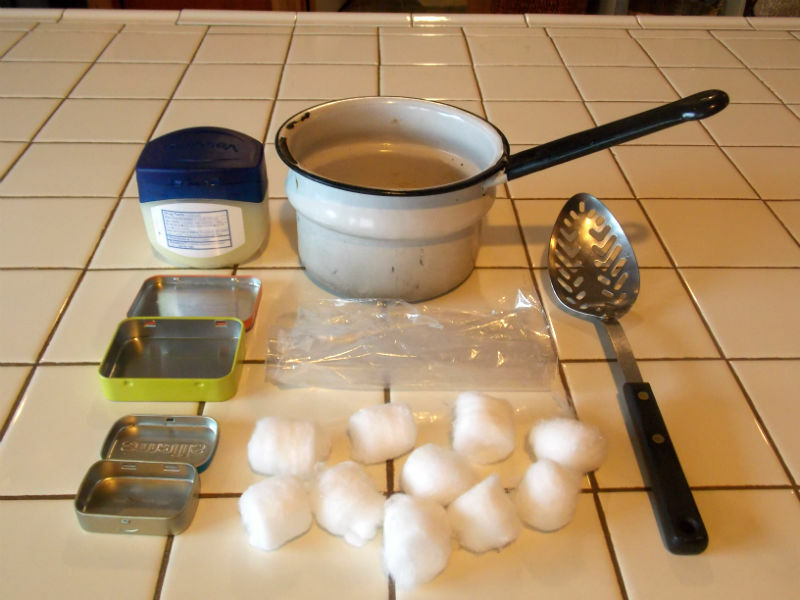 Melt the wax in any old pan and soak the cotton in it, which only takes a few seconds. Now remove the pads and let them cool down on a wax paper. After cooling, store them in a plastic bag until they are ready to be used. For a fire, just make a small tear in the wafer and ignite the cotton fibers coming out of it. Frugal is the code of this generation. And in this frugal age, one invention is ahead of just everything. Duct tape is considered by many to be the answer to every problem there is in this world. And this makes the duct tape your perfect travel companion for backpacking through the world. There is a hole in your shoe, cover it with duct tape until you reach a place where you can get a new pair. You tore your bag; duct tape will help you with it. A cut on your leg, clean it and then use duct tape as a bandage till medical help is available. There are so many uses for duct tape for a backpacker. But carrying the whole roll is going to cover space unnecessarily. So, Backpacking Tips suggests that instead, wrap a small amount, say 6 inches to 2 feet, of duct tape neatly wrapped around your bottle, lighter, knife or utensils and take it off whenever the need arises. Pill bottles are made to withstand a lot and still keep the integrity of their contents intact. And they are all light-weighing and small enough to fit in almost about anywhere, including your pockets. This is why, instead of throwing away the old plastic pill bottles, reuse them as storage for your traveling essentials like the toiletries and spices we discussed earlier. Or for something more important like a small first aid kit. You can also keep change inside them as they are wide enough to fit the coins inside. You can also put in your Q tips and cotton swabs if need be. A View From The Laundry Pile tells us how to reuse these bottles after washing and drying them. Light weight stuff should always be kept at the very bottom for a comfortable backpacking journey, so you should put your sleeping bag at the very bottom. Right above this, you keep all that has a medium scale weight, like your clothes, and water filter. In the inner middle part, the one that is near your back, you put all the heavy essentials you need for backpacking, like food and cookware. But remember that this load should not be above your shoulder height. In the outer middle part, you should keep all your light weight items, so backpacking your tent in this area is probably a good idea. And finally, in the top section, you can keep other least heavy items like your camera. Rubbing two stones together to produce sparks and light a fire is what probably everyone assumes to be the only way to go about it. But you can always carry your faithful box of matchsticks. “But what if they get wet?” is probably what you are thinking. Then we need waterproof matchsticks. Yes, they are a thing and also are very easy to make, store, carry, and use. You will need matchsticks, a sealer (Shellac in this case,) a little bit of double-sided tape, and tweezers. 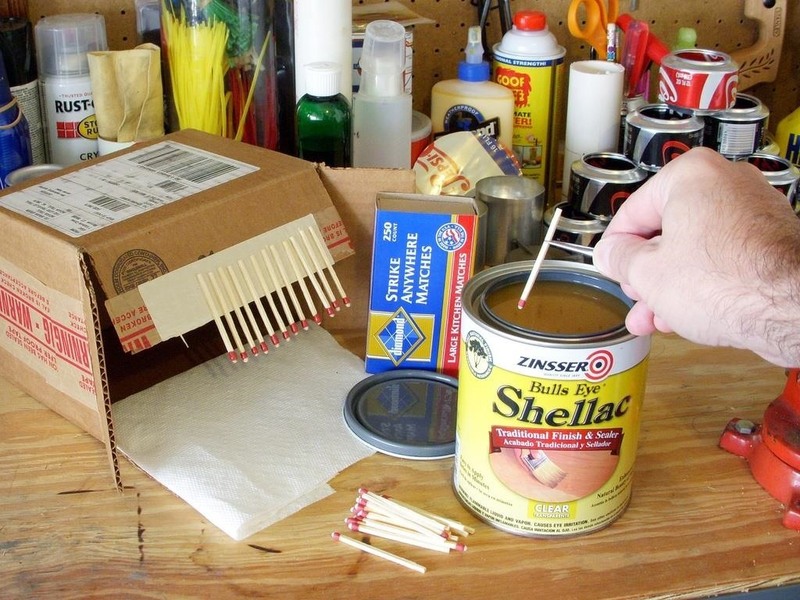 The sealer acts as a coating on the matchsticks and makes them waterproof better than wax, and it is thin enough to light the match in a single strike. Also, if you are using “strike anywhere” matches, you can light them by just swiping them on any rough surface. Brian’s Backpacking Blog throws more light on this hack. Now there are many ways to stuff your bag with your travel essentials, especially your clothes. You can just fold them like you regularly do and layer them one over other. But what if there was a better way to store your clothes, so you have more space to carry more things in your bag? As it turns out, there is a better way, and it is called rolling. You can roll your clothes to shove them in your bags with precision, and you will have so much more space, which you can use for either more clothes, shoes, or to keep your camera. You can try a skivvy roll as used by the military to make their clothes occupy the least amount of space or you can fold clothes and then roll them to the same effect. TripAdvisor Blog tells you the difference between 4 techniques of packing to optimize the space you have. Also, they mention that if you want that your clothes don’t wrinkle, you should simply fold them instead. So, it will be better to use both techniques as a hybrid way of packing. Candles have played scores of different roles in the history. But in backpacking, you probably will need them as the emergency light source. You can also use them as fire starters. But what if you don’t have a candle? Or you just ran out of them and realized only when you were about to leave for the backpacking adventure? Well, it is a good thing that you can use wax crayons as an alternative for candles. Snopes tells us that you just break the tip off from a crayon and light the paper on fire. It acts as a wick around the wax and burning as the wax melts inside it. If you use a quality crayon, it might burn for as long as 30 minutes. We wear socks to protect our feet from the blisters that can be caused by the hard surface and roughness of the shoes. Also, another reason for wearing socks is to save our shoes from all the sweating. So, backpacking is impossible without shoes, and we cannot imagine wearing them without any socks on. And we either fold our socks or roll them while storing for any purpose. But we can save the space, which we otherwise devote to socks, by stuffing them inside the shoes we are packing for the trip. Just roll them up and use the empty space inside your shoes. You can also pack your underwear in the same manner. Use one shoe for your socks and the other for your underwear. Pause The Moment shows how you can stuff about 4 to 6 pairs of socks and 3 to 5 pairs of underwear into your shoes. Space is one of the most important concepts while backpacking, but so is weight. You have to make sure that what you are bringing with you on the trip weighs in the range that you can carry. So you have to cut on weight on some of the things that you have to take with you, like toothpaste. You can save space and weight on toothpaste by ditching the whole tube and just taking toothpaste dots with you. They are really easy to make. First you choose the toothpaste that is not a gel because it would not settle well enough to make a dot. Imminent Threat Solutions tells you how to make these dots and which toothpaste will be best for this. Take some tin foil and squeeze out dots of toothpaste on it, as small as chocolate chips. Leave these for about a week and then remove them. Store these in a zip-lock bag and sprinkle a little bit of baking soda so they don’t stick. And when you have to use, just put one in your mouth, bite it and then brush your teeth with it. The con of using a normal towel while traveling has always been that after a point, it just becomes unhygienic. You cannot just keep wiping your hands and face on the same towel over and over again. That is why paper napkins are used, because they are disposable. But, we are restricted by our limited space and, hence, cannot carry the whole roll or box. The solution is that we can make our own tissue holder inside a coffee cup. Instructables made a very handy tissue paper holder by repurposing a coffee cup. Just cut a slit in the lid of the cup, stack the tissues inside in such a way that they function as a real tissue box, pass the first one through the slit on the lid, and close the cup. You can attach it to your bicycle, keep it at your office, and the best one, put it in the side pockets of your backpack and use whenever needed. Walking sticks are an important tool you should carry if you have love for hiking and are planning to take it on. It helps in covering the distance faster and also to keep your balance when carrying that heavy bag on your back. Now, you can buy a hiking pole from where you are going, but instead of spending that money, you can save it by making your own walking stick at your home. It is simple but asks a lot of your attention. You start by finding the right stick, and cut it to the length that suits you. Then, you fit in a small piece of copper at the lower end by thinning that side until you get a snug fit. This is to stop the lower part from turning into splinters while walking. Secure this piece with a raisin glue. Now if you want, you can give it a certain finish, carve in something, or fit a rope around the stick so that it does not slip out of your hand. You can read the full DIY piece on Boys’ Life. Lint is a very small piece of fiber that gets separated from the cloth while processing or cleaning. Dry lint has a property that it can be burnt very easily. But a small amount of lint will do close to no good, and hence, we need larger amounts of lint and concentrate them in a small place for large fire power, and then we can call that a fire starter. To make these tube and lint fire starters, you need to keep a supply or storage of paper tubes and dry lint for use. WikiHow says that you only need to fill the roll with lint but try not to stuff it more than it’s capacity. Then, when you need them, just light them up and place near a log in the middle of your fire. Nature’s call is hard to avoid for long, and despite our heart not agreeing to it, we have to make some choices regarding that, which we would otherwise not. Now whether you are on a picnic, road trip, or backpacking, there may be many scenarios like avoiding public restrooms or the absence of them altogether. Hence, you need some sort of a solution for unavoidable situations. Well, if you are carrying a bucket with you, you can make your own portable potty by just using a simple pool noodle. All you need to do is line the bucket with a trash bag, slit the pool noodle, and place it around the rim of the bucket, and your portable potty is ready for use. You can slip a roll of toilet paper into the metallic handle of the bucket, and that completes it. Budget 101 tells how it can be useful beyond your imagination. So you brought a lot of food with you, but you somehow forgot to bring a pan. How unfortunate! But it is okay because you can use almost about anything if you have the proper knowledge. 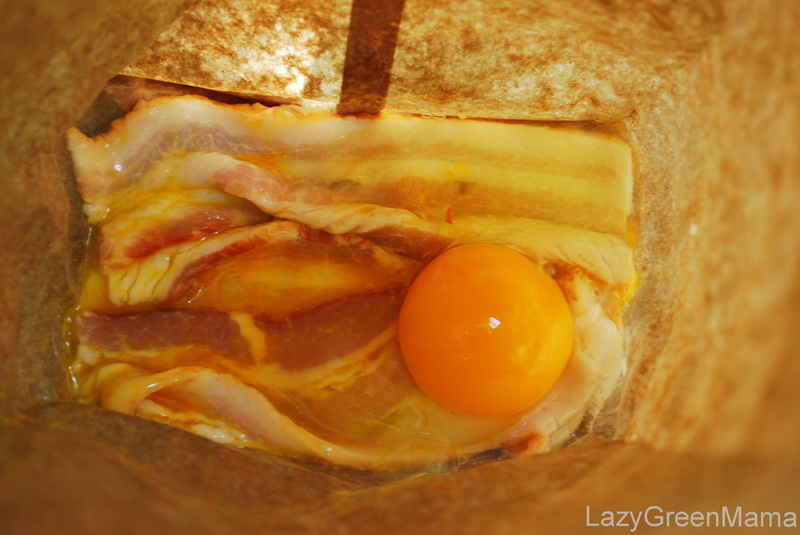 Just like these amazing bacon and eggs made by Real Family Camping in a paper bag. Yes, it is a really brilliant backpacking food idea, where you can use a paper bag to cook a proper meal even while backpacking. Spread some bacon on the base of the paper bag and crack an egg onto this. Close the top of the bag by folding two times and drive a stick through this very carefully. Now hold this bag over your fire to cook it and wait for the egg to get ready. The best part of making these is that you can eat right out of the bag. After all the walking, hiking, and traveling, you are bound to get your shoes, or any footwear for that matter, dirty with mud and dust. But, you cannot pack them in that state and run the risk of dirtying everything kept about or under them. And you certainly can’t carry separate boxes for each of your footwear. The Bright Writer suggests a brilliant way to pack your shoes while backpacking. You can purchase a cheaper shower cap and pack your shoes inside the cap, so they don’t dirty your clothes or food packages. 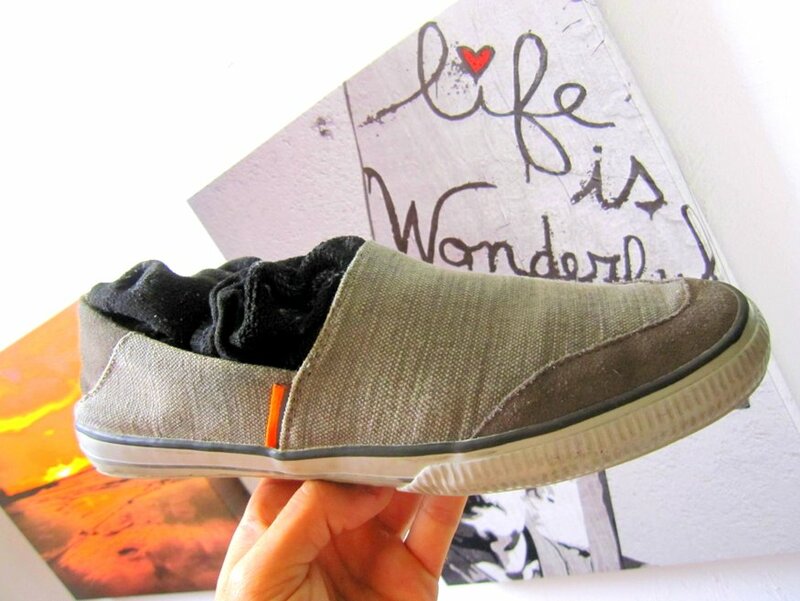 Or, you can use the cap that you have and cover your shoes by inverting that one, so it is still useful. Plastic bags are mankind’s gift to themselves. They are greatly useful, irrespective of where you live or where you are going. They don’t react with what is inside them and are also waterproof. They can come in handy to keep all your important belongings, like smartphone, wallets, IDs, etc. in one place with safety from water and oil. You can use them as packaging for your food. You can also line them on the inside of a bucket and use them for waste disposal. But, it would be better if you had a proper system for storing and sorting them out properly, without a mess. Curbly came up with the brilliant idea of a plastic bag keeper, in which you can store and take out plastic bags very easily. Take a simple plastic bottle and cut out two openings big enough for plastic bags to fit, one on the neck and other near the bottom of it. Start shoving bags from the top of the bottle so you can take them out from the bottom as required. Many of us do not believe in starting our day without a steaming cup of coffee. And many people follow the same routine when they travel. Coffee wakes you up and prepares you for the day ahead. And many of us are very much reliable on instant coffee instead of fully brewed. We just put it in our coffee maker and boil water. And so, to avoid drinking coffee from places you don’t feel like you can trust, or to enjoy a cup while you are on the go, you can make your own coffee bags with the coffee that you prefer for yourself. The basic meaning of this is to make your own coffee wherever you go. S C Johnson’s blog post shows how you can make your own coffee bags for when you want some on the go. Just cut the filters in circles, measure, and pour your preferred amount of coffee grounds into it. 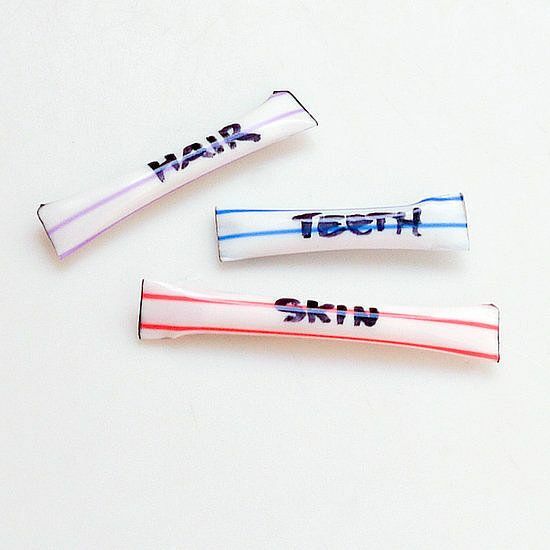 Then, tie it up using dental floss or any strong thread that won’t break because of high temperature or water. If there is extra paper after one inch of the knot, cut it away. Store these in separate zip-lock bags and keep a few with your camping gear, or in your satchel. To use, just put one in the cup and pour boiling water. 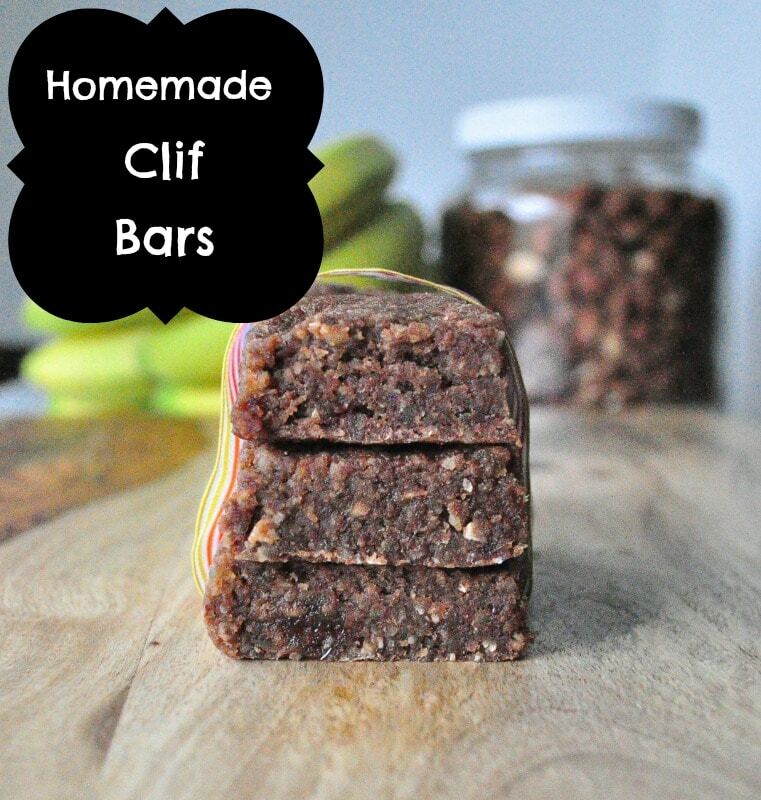 Clif bars have been around since the year 1991, and have been a public favorite for so long. It takes only a couple of seconds to immerse yourself fully into the taste of a bar, but the effect lasts for even longer. And thanks to the Brown Eyed Baker, we now have a way to make our very own Clif bars in our own kitchens. A plus side to making these bars in your own kitchen is that you can get rid of all the preservatives involved and can use healthy alternatives to the regular sugar. Also, there is no baking involved in these homemade bars, and that further increases the ease of making them at home. You can experiment with flavors and chocolate chips. Do try these homemade Clif bars because they might prove to be the best backpacking food to bring on your next trip. Hygiene is a matter of consideration for everyone, especially when you are backpacking through different regions. And the first step towards a hygienic living standard is clean hands. Soaps act on the fatty molecules to remove any kind of dust and dirt, exposed to the water, to be easily cleaned. So wherever you are going, taking soap with you is a must. And to save space and decrease weight, instead of taking the whole bar with you, you can peel off thin leaves from the soap using a vegetable peeler. These leaves give you enough soap for washing your hands one time. 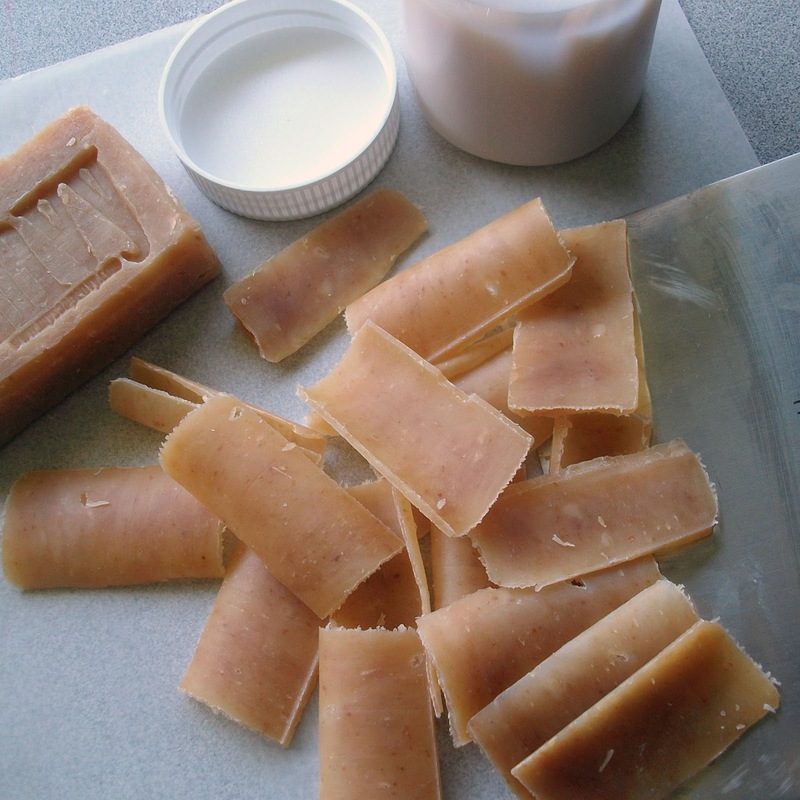 Beth Anne Creates suggests using a green, unscented bar, which is also biodegradable. Just peel off thin soap leaves and leave them to dry over wax or parchment paper, so they don’t stick to each other when stored. We took measures for waterproofing our matchsticks, wallets, smartphones, and many other things because they were all important. But come to think of it, we can’t wear wet clothes or sleep in a wet sleeping bag, can we? Neither can we afford to have our food get soggy because of the water. So, the foremost measure we need to adopt is to waterproof our backpack itself. Now, you may think that your bags are already made with a waterproof material, so why should you concern yourself with this? Well, they might be, but the holes made while sewing all the material together did not leave them completely waterproof. You can reduce the leakage from the seams to zero by sealing the sewed holes using a seam sealer. Or you can use a trash compactor bag and line up the inside of your backpack with it. If they are torn at any side, all you need is a little bit of duct tape to fix it, as said by Section Hiker. Spiders love to live in empty moist corners where they can find their prey easily. That is why you see them very often in old attics or shoe racks. And that makes it a possibility that you can find them right about anywhere, whether under the dried leaves of a forest where you are camping or in a neglected corner of the room where you are staying on your trip. There is also a possibility that for shelter, they may have holed up in your tent or sleeping bag too. But, what is the best way to tackle those, should you encounter one? What to do if a spider bit you? Before any of that, what matters is identifying the spider. 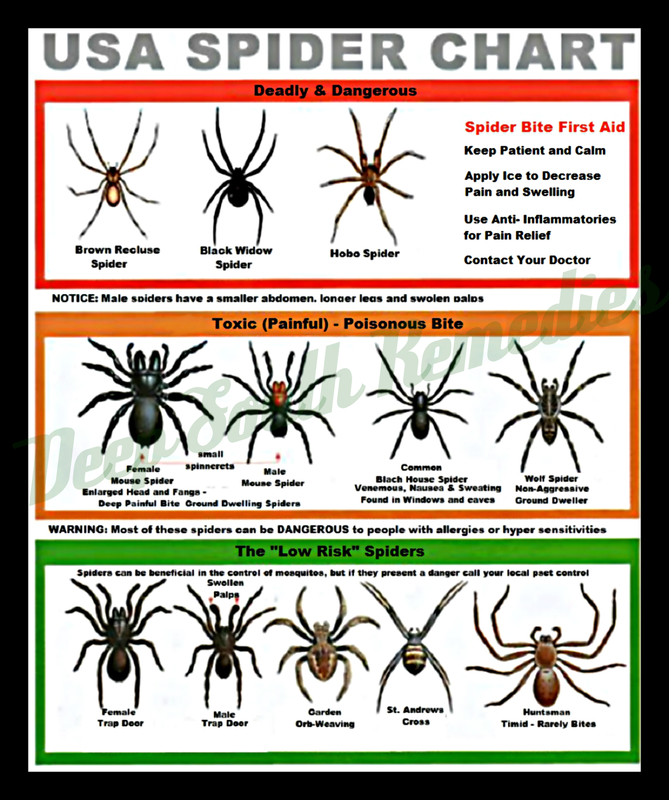 What you have to be really careful against are spiders like Brown Recluse or Black Widows. Hub Pages tell you how to identify fatal, painful, and low-risk spiders, alongside what to do if one bites you. Shoes are very important in every walk of life. One can also say that they are very important for convenient living itself. And so, the importance of shoes cannot be underlined enough for everyone to acknowledge and conform. They endure the hit of all seasons and still stand tall. But one unimaginable torture is when shoes get stained because of all the water that gets accumulated on the surface. Or worst yet, wearing wet shoes. So, is there a way to waterproof your shoes to stop all the suffering that they or you might have to endure because of that? You will be needing your favorite shoes, some beeswax, and a blow dryer. Lifehacker shows the proper way of waterproofing shoes. All you have to do is rub the beeswax all over your shoes and then, with the help of the blow dryer, melt the wax, so it settles as a protective layer over the shoe. After about 5 minutes of this, when you splash some water on your shoes, you will find that it simply slides off the shoe. So it is getting dark before you expected, and you need an emergency light source. At this time, everything counts. But it is a good thing that you can create a makeshift candle using the inside of a fresh orange peel. Cut the orange in half using a knife. Then, remove the fruit from the peel. You may find it easy to remove the fruit if you cut it out from the peel. But be careful when you are doing that as you should avoiding cutting too deep. When you take out the fruit, you are left with just the peel and the stem. The peel is hemispherical and, thus, acts like a bowl. Filling this up to the halfway mark with oil, you can then light up the stem using any lighter or matchstick. It acts as a wick for the oil around. It has the capacity to burn for several hours. Cnet says that you can use just about any oil in this candle but for best results, olive oil is highly recommended. Sterno, or as people call it, canned heat, is a fuel that comes packed in a jar, from which it is directly burnt. The most common use of it is in heating food kept for buffet services, but many people have used Sterno as a camping stove and an emergency heat source. So, to make a homemade Sterno, you need a sturdy tin can, some wax, and a few sheets of cardboard. Instructables shows how you can make your own Sterno can using just these limited supplies. Begin with cutting the cardboard as per the depth of the can, then pack the tin with sheets of cardboard in a manner that there is still some space left for the wax to find its way. Then, melt the wax and pour it in the spaces between the boards. Ensure as less air as possible in the wax, because we are making a candle of sorts. To use this, you just need to light the cardboard on fire. It burns rapidly and can last for a few hours. Water is the key to survival, but it is also very necessary for hygiene. We need water for washing our hands and cleaning our dishes too. But when you are backpacking through places or just camping somewhere remote, where can you find a suitable yet safe place to easily wash hands and dishes? The answer is your camp. 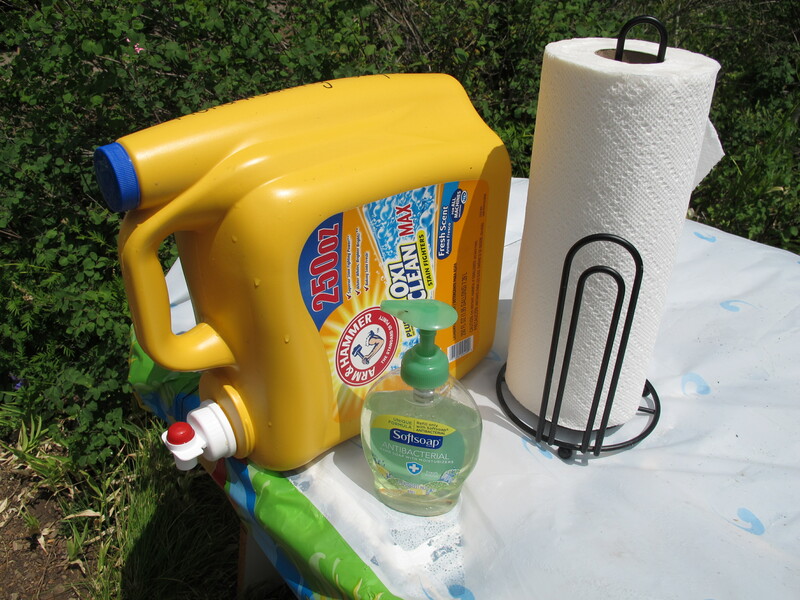 Great Wild Outdoors narrates how they reused a laundry detergent bottle as a mobile hand and dish washing station on their several camping trips. They filled it with water that was supposed to be used for anything but drinking and cooking. What you can do is just take an empty bottle with you and fill it up at the best opportunity you get. Power bars are like the clichéd “big explosions come in small packages” products. They have just the right amount of calories, which makes them a favorite afternoon snack for most who love them. Taking a bunch of power bars with you will just be the best idea for a quick snack between travels or maybe a small supper before going to bed. But most of the times, we do not get them in the flavors that we like. But that is not to be a problem anymore, thanks to The Kitchn for their recipe of Walnut Cranberry Ginger power bars, which are the best-suited replicas of the original ones with way more taste to appeal to your senses. What makes them more desirable for backpacking is that you can customize the recipes according to what you have on hand like using almonds instead of walnuts. Do try these and take a few in your bag with you on your next backpacking spree. Any backpacker must have the knowledge about the surroundings. The most important trait of any backpacker is the ability to make the most out of everything. And while backpacking, it sometimes may happen that you do not either have the space to fit in a sleeping bag or you may have no need of a sleeping bag. And in such cases, we have hammocks coming to our rescue. We cannot blame the movies for portraying them as such gems of comfort, so far away from home, because they really are that. They form the best beds to sleep just about anywhere, and all you need for them are two poles to form the anchors, some ropes, and anything that can spread to act like a mattress. There are many ways to make a hammock, but it depends on where you are erecting one and what materials you have available. Mostly, they are backpackers supplies that are gathered from the surroundings. 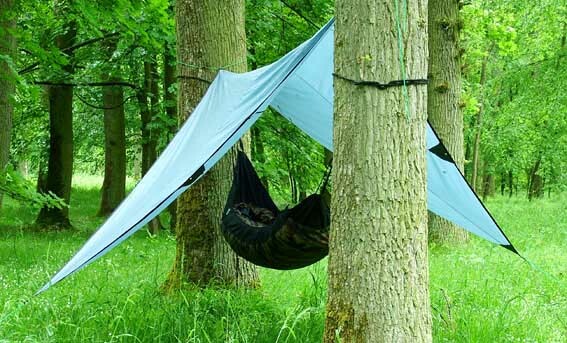 And in such a situation, the best hammock to make will be the one using simple tarp or blanket. According to WikiHow, to make a simple hammock, cut the fabric to the size of your wish, but if you want to use the fabric afterward, avoid cutting. Take one end of your hammock fabric and hold it in a bunch. Tie this bunch using a lark’s head knot or a clove hitch with a strong rope and wrap the rope around the tree. Take the rope to the other tree and repeat the same process with the other end of the fabric. The rope passing from above can be used to hang tarp for rain cover or for providing shade. You cannot step out of the comfort and tranquility of your home to travel to unknown or known lands without fully preparing yourself first. Only a fool would think of venturing into anything new without proper gear in tow. Same goes for backpacking. You must have the proper gear packed with you at all times, and if you have a belt to keep your gear handy, nothing can be better. What all must you keep with you at all times while planning to go on your next escape? Here is a backpacking gear list to help you. Obviously, the first thing one needs to indulge in the fun experience of traveling light is a backpack. You would want something strong, sturdy, and comfortable, yet lightweight, for all the backpacking. And keep it as small as possible because if you get a bigger bag, you will probably fit in stuff that you would not even be needing in the first place if thought about logically. So a smaller bag will lighten the load on your shoulders, which only gets lighter through the journey. Never go into a new city or area without the proper research and knowledge of it. What areas are safe, what is the quickest way out shall you lose your way, what places are a must visit, etc., are just the tip of the iceberg made of questions originating specifically for a memorable experience. A map of the area and a compass are a must-have for your own sake. If you have a GPS, it will be killing two birds with one stone. You should always keep waterproofing gear at the ready at all times because there is a huge chance of facing such situations that may do more harm to you than good. So, it is necessary that you ensure proper waterproofing for your gear and your bag, as well as of your clothes. You can buy trash compactor bags to waterproof your bags from the inside. Or you can use seam sealers to seal the bag from the outside. Similarly, oven bags are a good way to keep cameras, first aid boxes, and other such important stuff waterproof. Also, in a descriptive post, WikiHow explains 6 ways how you can waterproof your clothes. With this, you can prepare yourself for the wet season or unexpected rains. Unless you want to shiver while sleeping or rest in damp clothes, you must definitely take a sleeping bag with you. They are like a complete bed, fulfilling the purpose of mattress and blanket both. So, it is imperative that you choose the right sleeping bag for your travels, based on the place you will be visiting and your own personal preferences. Temperature rating is the first criterion you should consider before packing a sleeping bag. Usually, you will find bags coming with a temperature rating of 15° F and 50° F. Select a sleeping bag that has a rating lower than the lowest temperature expected. The shape of the sleeping bag also matters a lot while choosing the perfect one for you. They can be rectangular, barrel-shaped, mummy type, or double wide. Choose the one that would fit your travel type. REI illustrates these designs and shapes of sleeping bags. Next, you have to look for the type of insulation in the sleeping bag. Most people go for synthetic, polyester fillings rather than the goose down or feathers insulation. This is because the feathers retain water and take a significant amount of time to dry as compared to the synthetic filling, which works very well even after getting wet. Also, synthetic is way less expensive as compared to feathers, and is very light too, hence, can make your plans for ultralight backpacking a little more real. The only disadvantage of synthetic insulation is that it takes more space than the down insulation. Some sleeping bags made for backpacking also come complete with a quilt like lining. So, as much as you look into the insulation of the sleeping bag that you are buying, you should also look into the type of lining that comes with the bag. Keeping all this in mind, we have to choose the bag that meets our requirements of being pocket-friendly, light, warm, compact, and durable. Also, for sleeping comfortably while backpacking, you can either look for a sleeping bag with a pillow or with enough space to accommodate one. Rain might be a problem when you are traveling, but in some particular regions of the world, one other thing that can pose a greater danger is the sun. The heat for elongated periods can make you weak and dizzy because of dehydration. Too much of direct sunlight can also prove dangerous for your skin and can cause hallucinations or mirages. Proper sunscreen and gears are a must if you are going to a place that gets a lot of sunlight and is little more hot than average, like beaches and desert areas. Sunscreen of SPF, which is in correspondence with your skin type, sunglasses, head bands, etc., is a must when traveling. Vaseline is not just an everyday use petroleum-based jelly. Vaseline is something you must have on your person at all times, whether you are at home, in the office, between classes, or backpacking. It is an excellent cure for chaffing lips and can be used for burns and small irritation problems. So instead of buying different stuff, you can just use Vaseline for varying degrees of problems. 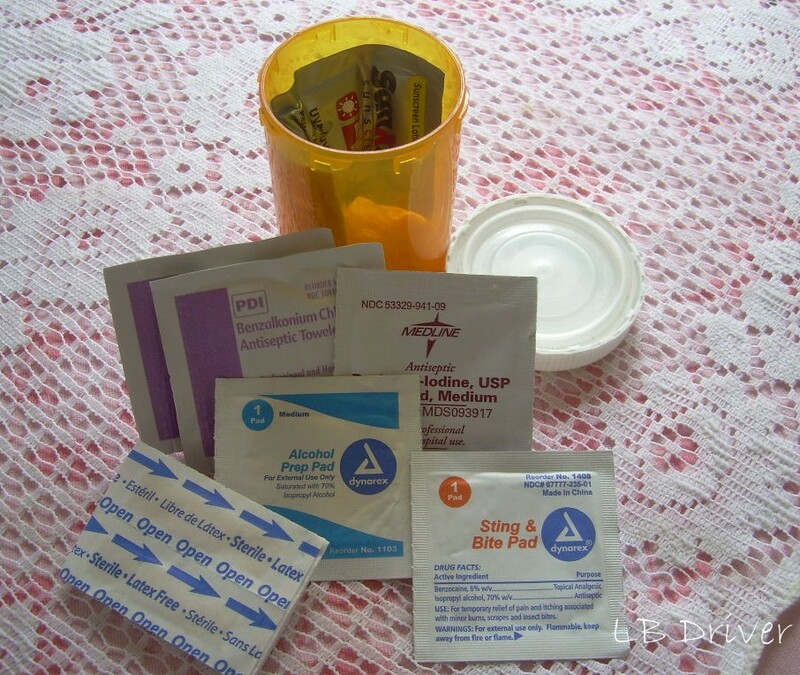 And not just in the first aid kit, Vaseline has uses in a lot of different fields. You can use it as a moisturizer and a winter cream both. And just in case you can’t find any kindling, you can make use of the fact that it is a petroleum jelly and can be used for starting fires. Shelter is not always guaranteed while backpacking and sleeping under the shade of a tree is never going to be a safe option. And so, this makes the point that taking a tent with you is always important. But what are the things that one needs to keep in mind before packing a certain kind of tent? Here are some backpacking tips on what to look for when buying a tent. Tent sizes are decided through the number of people that can sleep in it, like 2 people or three people tent. No matter how you are traveling, alone or in a group, consider buying a tent that is a size more than your party. The reason to do that is that it may so happen that you or your companion might be taller than usual people, might be in requirement of more space to sleep comfortably, or maybe that you are carrying some gear with you and, hence, need to keep it with you. Also, tent types are determined by the kind of weather they can withstand. There can be 3 season, 3-4 season, or 4 season tents. This totally depends on the material they are made with and the kind of seam protection they have. Depending upon your destination, you should choose your tent. Now, there are some features that define the basic dimensions and features available in the tent. For example, peak height defines how much vertical space there will be in a tent once erected. If you are taller than average, you must pay attention to the peak height mentioned in the particulars. There are many such features, like rainfly, vestibules, etc., that one must look into while buying and packing a tent. For a full list, read the article on REI about tent choices. “Tools” is a very general term for all that will be useful on a backpacking trip because you cannot carry much. So you have to categorize your tools into lists to determine what to bring and what not to. But, the most essential is a knife and a good one at that. You want one that is sharp enough to cut through wood if need be, but comfortable enough when held in our hand and holstered in our utility belts. You can go a step ahead of this and get a multi-tool. It basically is a group of tools in a single casing, made to save space and for the ease of use. Repairs form an equally important part because we just cannot carry spares in case something breaks down. From leaky tents to torn shoes, or even broken stove, repairs can be both, time and life-saving. Duct tape, sheet cutter, instant glue, etc., must surely be a part of your repairing kit. Whether after a tiring day at work or a fun night of partying and enjoying with friends, wet wipes have been an instant remedy to get the day’s worth of dirt and dust off our faces. Not just that, disinfectant wipes are also widely used in for cleaning purposes around the house. So, it goes without saying that you should always carry a box or packet of wet wipes with you when you are backpacking. Also, they are very pocket-friendly, available at as much as 30 wipes for a mere $5. Fire is very crucial for survival, and hence, every possible gear that you might require to build a fire whenever necessary must be there in your backpack. This may include matchsticks, lighters, or fire starters. Also, to ensure that they don’t get wet and ruin your plans of starting a fire, you must also always keep a waterproof container with you to store them. Similarly, for food and boiling water, you must also carry a proper stove. You need something that you can easily fit into a corner of your backpack easily but also has the capacity to do the work it was made for as quick as possible. You can choose between gas actuated or wood-based stoves based on your needs and weight bearing capacity. Tyvek is a high-density polymer fiber used as sheets to act as home wraps. In other words, construction workers use it to cover buildings under work to protect them from the ever-changing weather. If you do not wish to spend too much on tarp to make a rain cover, you should definitely buy Tyvek because it is cheaper, about $0.9 per foot, and lighter in comparison. If you spread a little on the floor of your tent, you can save yourself from the water coming from the ground. You can stay without food for 3 weeks but without water, not more than 3 days. And there is a good chance that most of us will lose our minds and show symptoms of dehydration on the very first day of deprivation. To avoid such situations, we need to keep ourselves hydrated. Keeping a water bottle or a reservoir on us at all times is the best place to start at. And also, the initiative to keep it full at all times is equally important. But we just can’t drink water from any source, the reason being that giving your body polluted water will do more harm than less water. Proper filtration either in your bottle or made from supplies available might prove to be life saving for you. You have to go into travel accepting the fate that emergencies never come with prior announcements. So, you have to be always prepared to face any adverse situation. And the same goes for medical emergencies too. You cannot predict if you will cut yourself on a thorny bush. But you have the next best thing in the form of a first aid kit. Instead of waiting and making things worse, you can patch yourself up quickly, on your own. So, a proper medical aid kit must be maintained and be packed somewhere easily accessible. Dehydration, diarrhea, dysentery, headaches, cold, etc., are very common, and this calls for always being prepared for them. The medicine for these should always be a part of your medical kit. You can’t always have the comfort of proper amenities and tools, especially when you are out of your home. We need to think frugally in these times. Like if your sleeping bag has a gaping hole somewhere, you don’t go and throw it away in the middle of your trip. You take some duct tape and fix it. So, duct tape is the answer to most of the situations we may face. Also, carry a few razor blades just in case you lose, break, or blunt your knife. Wrap it in cardboard and hold it in place with some duct tape. This will help you cut food, bandages, and some wood too. And at the weight they come in, you won’t even have to sweat about it. Keeping some backup material in case your stove breaks is a good idea so you would not have to starve. Food gives us energy, which we need to work and to maintain our body temperature. So, snacking during traveling is something we should really do and, hence, pack all that we need to eat, be it proper meals or just snacks. But remember that the water content of your food should be less or the chances of the food going bad increases a lot. You should pack eatables with less moisture, make use of dehydrated food, and keep them in a waterproof and air tight containers while backpacking. But there are always a huge number of uncertainties surrounding our travel plans because the place is new to us. And since we have no say in all that, we should be prepared for such emergencies and always bring at least two days worth of extra food with us. Bleach is a cheap disinfectant effective against bacterias and viruses. You may already have it in your laundry supplies. So before setting out, do not forget to wash your clothes and other gears with bleach first. Also, you should bring a small amount of bleach with you because you can use about two drops of it in a liter of water in case you do not have any filter or it is broken. You can get about 1.7 kg of bleach in $2.5. You are going to witness some of the most wonderful sights in this world. Something you have never seen before awaits you to set your eyes on them. And you just cannot come back with no physical evidence of the memories you created. You need to bring back pictures of the place you relished so much yourself to inspire the same wanderlust in others around you. And so you should invest in a good camera after thorough research. Also, while you are carrying it, you have to make sure that it is safe. So proper protection is important, but so is buying a camera that can take rough situations head on. Switch Back Travel presents a list of the best cameras out there meant for traveling. In a wide range of Point and shoot cameras, they rank Sony’s RX 100 as the best camera for travel. In DSLRs, the blog recommends Nikon’s D3300 to be the most favorite. The best thing about these both is they cost about the same and so you can choose based on your preference and expertise with the camera without having to think about the monetary value of them. Now, your watch is an everyday accessory for you. It tells you the time, keeps you punctual and takes up no space at all simply sitting on your wrist. But with advancement in technology, watches have been given features that nobody in the past century could have even imagined. The first such feature that we came across was waterproof watches. These could be splashed with water and still remain unharmed by it. Then a new wave of waterproof watches came that you could take with you while diving. And that was just the tip of the iceberg. You should never ever forget to bring your watch along when you go backpacking. While knowing the time is important, there are many other uses of a watch on a backpacking trip. Apart from being waterproof, the best watch for backpacking must have a certain set of features. 6 to be precise. Barometer- A barometer is a device that detects changes in atmospheric pressure. It is of great use because it can help predict incoming bad weather or to tell someone that they have entered a low or high pressure area and must find shelter before things get ugly. Altimeter- An Altimeter or Altitude meter shows how high your position is with respect to sea level. If you have a map, then combining with the altimeter, you will be able to tell your location much more easily. Compass- Compass has been the best friend of people who have set on a journey for exploration of distant lands. It is very crucial for navigation, and if used with a map, you can find your way in or out of very difficult places, very easily. Durability- Durability means that an object has the ability to withstand any wear, pressure or damage. A watch must be durable because it moves with you wherever you go and faces a lot. The last thing you would want to happen to you is a broken watch. GPS- Global Positioning system or GPS, is an arrangement of satellites in order to use three or more of them to determine the correct position of something with high accuracy. With the help of a GPS, you can not only track yourself, but also see the area around you and navigate accordingly. Heart Rate Monitor- Backpacking and hiking are taxing activities. And you never know when you have pushed yourself too far until you collapse suddenly due to increased blood pressure. Also, when you sleep, the same pressure drops and can be further fatal to your state. So to monitor your heart rate continuously, your watch must have a heart rate monitor. Best Hiking made a list of the watches most suitable for hiking on their blog, and according to them, Garmin Fenix 5 is the one that has everything that a backpacker expects from a watch. It has built in altimeter, barometer, and compass, along with a fitness monitor that you can connect with Garmin connect online. And because of all these features, the watch costs a whopping $600. If you want to buy something a little easy on your pocket, then the Suunto Ambit3 should be your choice. It comes with a heart rate monitor, GPS, barometer, altimeter and a compass, all built into the unit. It also has smartphone connectivity, allowing you to see your activity and getting notifications on the go. And you can get it at about $300 a piece. As the day of the travel nears, our brain tends to go into a sort of hyper drive, making us begin to rush and stress about things. And amidst all this, it is very normal of us to forget or overlook a small thing or two. But, maybe this small mistake can be the cause of something bigger. So to avoid this, and still keep ourselves on the clock, what we can do is prepare a helpful backpacking list. We need this list because no matter what, in the end, we are humans after all. This list will tell us what we need to pack for our next budget outing. For all the backpacking fanatics in the world who are reading this, most of you know how troublesome it becomes if we even forget to bring one trivial thing with us, because not bringing something as simple as socks can mean facing blisters and smelly shoes, hence we need some sort of a packing list. Rugged Thug Life presents one such effective backpacker’s checklist that you should definitely follow so you do not end up leaving behind a traveling essential unintentionally. This list divides all your essentials into six categories, namely basics, clothing, backpacker’s essentials, group equipment, winter equipment and miscellaneous. Backpacking takes pride in being the most beautiful and adventurous way of traveling, aside from being the most economic. You can see and learn things about the place you are going to in terms of your own experiences instead of listening to a guide you hired to ramble about it. You get to connect with the locals more closely because these are the people who know more about your destination than anybody else. So instead of going vacationing like a tourist, try backpacking like a traveler once.